“Poonam” Restaurant the “Stomach” part of the Collosal Indian Hospitality. 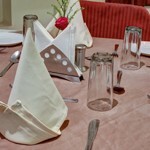 An establishement rare of it’s kind in Indian Restaurant industry which provides western best with Oriental fragrance. “Poonam” is humbly indebted to classic cooking science if East & West. “Poonam” cater a central air conditioned atmosphere in the Heart Throb of Varanasi “Poonam” serves Devine Taste in every food which give the glimpse of the days of Maharajas. 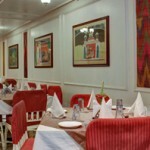 The door of Poonam restaurant opens with the Dawn & closes as Midnight looms large. Pooname cooks widest possible range of delicious foods Poonam arranges packed food for journey also. Poonam’s additonal limb- A fantastic Bakery & Confectionery to add glory to your every Hey Day.